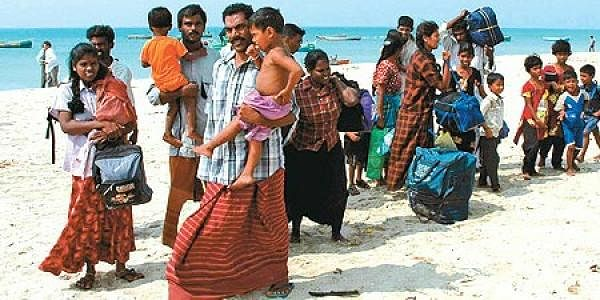 Sri Lanka will welcome more Tamil refugees who fled the country to India and want to return home after nearly three decades of war with the LTTE, a top minister has said. "They have been returning from time to time, in small groups. My ministry along with the defence ministry would jointly welcome them if more want to return. They could be resettled in their places of origin," resettlement minister Gunaratne Weerakoon told PTI. According to statistics more than 100,000 Sri Lankan refugees are in Tamil Nadu, out of which some 68,000 are housed in 112 government-run camps. More than 5,000 Lankans have returned to the island nation under a UNHCR-facilitated voluntary repatriation scheme. They are the Tamils who fled fighting in the north and east during the separatist military campaign of LTTE. Since the war ended in 2009, normalcy is returning gradually to the former conflict zones in Sri Lanka. A large number of the nation's Tamils fled overseas, mostly to Western nations and India, in the wake of the conflict between the government and LTTE in the mid-1980s. The Sri Lankan army defeated LTTE in May 2009 to end the nearly three decades of bloody civil war.